Since quite some time, I am looking for a satisfying way to have true hardware MIDI wavetable synth (without emulation) on my modern PC. Setting up an SC-55 is quite an effort, buying cards like the Roland SCB-55 or Yamaha DB50XG on ebay is hardly affordable due to high demand and low availability. There are some software solutions (e.g. setting up the free S-YXG50 plugin with VST Midi Driver), but I want the real deal. So what to do? Serdaco, a company in Belgium, made a solution for retro gamers like me. Back in 2014, they released the Dreamblaster S1, a new wavetable board that you could plug into any soundcard with a wavetable header. After a successor model was made (S2), the X1 and later X2 models introduced a USB MIDI interface with 64 MB flash memory, allowing you to upload alternate soundbanks on demand instead of having to rely on ROM-based solutions. This was what I had been looking for! Yesterday, I have ordered the Dreamblaster X3M which is basically an X2 with an enclosure to make external plugging as easy as possible. This is needed for me since my Soundblaster Z does not feature a wavetable header. You basically plug it in via Micro USB (and audio cable, I guess) and Windows will recognize it as a USB MIDI device. Here you can listen to Duke Nukem 3D music recorded with the default soundbank that ships with the Dreamblaster X2. In the meantime, an alternate (bigger) soundbank was created (GUD - find some listening samples in this thread) which aims for surpassing the Roland/Yamaha wavetable boards the early Dreamblasters were supposed to more or less imitate and deliver the best synth sound possible. The results with its current version 1.04 are quite impressive. My X3M has shipped yesterday, just hours after ordering it. I will keep you guys informed about my experiences with it and what I think of it. I have already been using an SC-55 and the S-YXG50 software synth before (I even owned a DB50XG back in the days, but unfortunately it got lost), so I know what good MIDI synthesis needs to sound like. Stay tuned! My X3M unit arrived today, 8 days after ordering it. 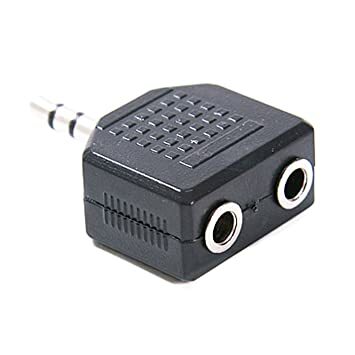 If I understood what's stated in the manual correctly, connecting this via USB acts like a MIDI interface, meaning that no additional cables should be necessary to use this as a MIDI device in Windows. (I am not sure whether or not I also need to connect it to the Line In of my soundcard, but I am prepared with a cable for that case.) At the same time, the USB connection will allow you to load different soundbanks into the flash memory of the module. As you can see on the image below, the card came with the enclosure (has to be ordered separately) plus a USB cable (also ordered separately). Assembly should be easy enough since it only requires 4 small screws to fixate the wavetable board plus another 4 screws to put the two halves of the enclosure together. When I arrive home today, I will plug it in and test it with Doom and Duke Nukem 3D. Let's see how the preloaded soundbank will do compared to legendary synths like the SC-55 or the DB50XG. The best part about this module in general is that you can change the way it sounds. You can experiment with the GUD (based on the General User soundfont) which is about twice as large as the default soundbank (CleanWave 16 MB). The developer is apparently working on an even larger bank (around 50 MB) called Polaris which may offer superior sound quality once it is finished. Here's a preview of Heretic E1M1 with an early version of the upcoming Polaris soundbank. The unit is assembled and working now! 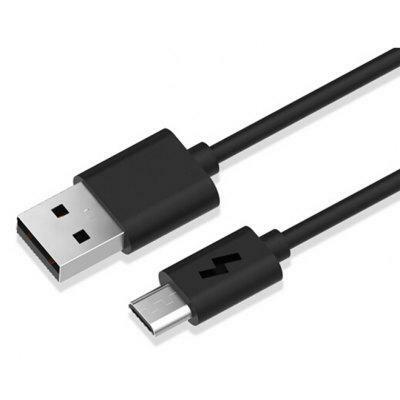 After connecting it via USB cable, the device was automatically recognized and installed as "X3M" in Windows 10. With the assistance of the Coolsoft MIDIMapper, I was able to change the default system MIDI device to X3M. However, it did not work yet after that. After this, I was able to hear music in GZDoom (with X3M selected as MIDI device) and EDuke32. Music volume was quite low, even with all volume sliders maxed out in Windows audio system settings and ingame. Luckily, the X3M comes with two additional programs - a preset editor and a soundbank flash tool (which you can download here). The preset editor allows you to change general amplification, so that should do the trick (couldn't try yet since I had to leave for work). This was the general setup procedure. Next step will be to do some extensive ingame listening. For now, I will stick to the default soundbank which came installed on the device. Later, I may try the enhanced GUD soundbank and hope for the Polaris soundbank to be released in the not-too-distant future. Stay tuned for more news! In my case, plugging the X3M into the Soundblaster Z meant that I had to give up the Mic In plug of my headphones. 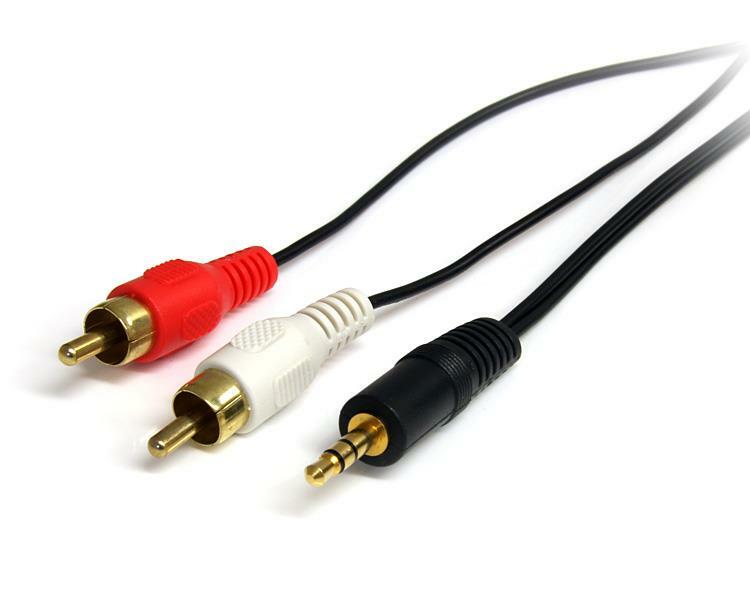 There are 3.5mm audio jack splitter adapters like this one which allow you to connect both, however you will not be able to use both at the same time. 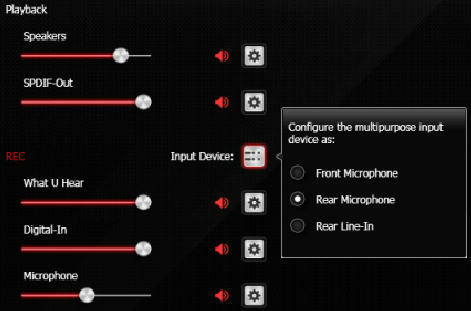 It should be possible to switch between Line In and Mic In via software on demand in this case. Since I am not using the microphone of my headphones, for me this was not really an issue. Here are a few recordings of some Duke3D tracks made with the X3M and the GUD 1.04 soundbank. Volume may be a bit low, but it was the only way I was able to avoid sound clipping while recording. There also may be some hickups/glitches in the recordings, but it's still enough to give you a general idea of what the module sounds like. I am used to the sound of the DB50XG/S-YXG50 or SC-55, so for me it was a bitter pill to swallow at first to have the MIDI files sound so differently. However, the dev's approach is not to imitate the old synths, but to go for a different and eventually even superior sound. What I can tell so far with this enhanced soundbank (that is supposed to be better than the default one, CleanWave 16MB) is this: It sounds quite good, but often I have the feeling that the volumes of at least some instruments are still kinda unbalanced in some songs so you don't hear all of them. This is something that can be fixed but will take time, also since it needs to sound right in games other than Duke3D, of course. It's still too early to give a final verdict. Of course, it is always better to use a synth that was created or used around the time these games were released. It's amazing what the DB50XG was able to pull off with its limited 4MB ROM, and it's really difficult for many modules and soundfonts to achieve this kind of quality today, even with super-bloated filesizes of several hundred MB or even more. The X3M has 64MB and the upcoming Polaris soundfont will be well over 50 MB. If the GUD was just a "warmup exercise", then I guess there is still a lot of potential in this module and it may turn into a nice hardware synth for oldschool gamers and MIDI enthusiasts after all. One way or the other, I will keep you posted. Expect more music samples! Man Alienz.mid sounds good on almost anything. The big advantage of that software synth is that it's completely free and no additional hardware is required. To justify its price, even though it's quite affordable (compared to acquiring one of the old wavetable cards on ebay), the hardware version needs to at least reach that quality somehow. I am confident it's possible, but right away it's just not there yet. Not expecting it to sound the same, it's perfectly fine if they accomplish a unique sound that sets it apart from the classic synths. It's easy to hear that the Crystal lead voice is bearly audible on the X3M. Volume readjustment is definitely required here. Yeah. That's the biggest reason why I don't like using MIDI devices for games that don't necessarily support them. Instrument volumes are always out of whack. Sorry, but all these years on I still think the Dream Blaster just sounds like a cheap software SoundFont player, such as BassMIDI and the new bank really reminds me of the unfinished Chorium soundfont, what with all the quiet saws and overly cutting drums. Though since people have noticed that one, it probably isn't accurate for me to claim this particular device is of a comparative cost anymore, but there are other cards with the SAM which might be. Even then, for what you get, it's probably worth the additional cost if you're running a real old machine, otherwise the Dreamblaster's usefulness over softsynths on modern hardware is still dubious in my opinion. Nonetheless, thanks for the recordings, it's still interesting to hear the thing and offers better justification for why I won't buy one the next time someone asks me about it. Some day, someone should give the Duke 3D MIDIs the XG treatment, also possibly the Casio CZ treatment for Alienz just for fun. The guy that makes the Dreamblaster synths has invited me to test a prototype of his new Polaris soundbank (mentioned earlier) which is the biggest one yet and should offer instruments with even higher quality. Doom 1+2 music sounded OK to me, but unfortunately Duke Nukem 3D tracks had some voices that didn't seem properly mapped or were not loud enough to be heard clearly. I'll try to provide ingame recordings to make sure the final version of the soundbank will provide proper quality for Lee Jackson's MIDI masterpieces. I feel I have the same soundbank with my EWS64XL, I kinda like it. https://www.youtube....BqMCIxV6gI_7mmP Tekwar soundtrack through it, sound balance is quite off and there is noise as well. Might have replaced the drumkit samples with something else but I'm not sure anymore. Mine had a quite awful FM block where it sounded like a stepper motor on some tunes but otherwise it's a really nice card. Hi NightFright. Was you able to provide some feedback regarding Duke music to Serge? I recently bought X2 from Serdashop, and I'm really looking forward to Polaris soundfont, so I'm curious, if Duke music would sound as it supposed to. I didn't have the time to look into it any more, sorry. Anyway, I think it's gonna sound good enough the way it is. Even though by now I actually moved back to using soundfonts since it's much easier to handle. I really wonder what else besides the GeneralUser GS soundfont (which is free) the average player would possibly need these days. One can install Coolsoft VirtualMIDISynth for free and load infinite soundfonts on it, enabling whichever they want with a few clicks so you can literally load a different sf2 before running a game. It has its separate mixer and options and runs on its own process so its CPU usage is negligible. You can also have it preload the soundfont into RAM, even if it's hundreds of MBs big. And it can render directly to audio files with an internal tool it has. So I don't understand the appeal of hardware-based solutions other than for hobbyists who like to tinker or seeking the novelty of hearing classic MIDIs in new renditions.